Franklin could bring a level of historical perspective to the issue because he caught flak from the traditionalist camp during his G-Funk days in the 1990s as the front man for Kirk Franklin & The Family, but Ruth could have had the same conversation with Rance Allen, or any member of Commissioned or and member of the Winans family or Walter Hawkins or the ghost of Thomas Dorsey. Odds are that the traditionalists will make their peace with gospel trap in the same way that Franklin tunes such as “He’s Able” and “Stomp” have become part of the Christian music canon. Franklin believes that these controversies point to an excessive formalism that distracts the church from helping people who are in pain and who might see gospel trap music as evidence that the doors of the church are indeed open to people like them. Cutting through to the essence of faith has been a recurring theme in Franklin’s music and it is what connects an “oldie” such as “The Reason I Sing” with the “Wanna Be Happy?” the single currently in heavy rotation on gospel and R&B radio, a track that fuses classic R&B arrangements with gospel choral backing vocals. Franklin uses this piece to illustrate a point made by the Rev. Martin Luther King and others that focusing on rules rather than relationship actually separates the church from the people that the institution was charged by Christ to help – namely the poor who in Jesus’ time were persecuted by the religious elites and the state. However, beyond the powerful spoken word piece, there are few Book of Amos moments in Losing My Religion. 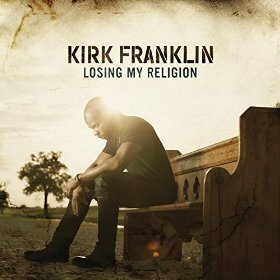 Rather, Franklin goes back to what he has always done well and continues to excel in on Losing My Religion – using contemporary R&B production techniques to create songs that encourage self-healing and a deeper personal relationship with God. “Over” is a percussive and funky number that encourages listeners to preserve. The pop track “True Story” uses the narratives of a single mother and a war veteran to remind people to not forget God when problems become too big. So the master theme behind the album Losing My Religion is cutting through the religious red tape that binds the faithful and the unchurched alike. It’s a message that can refocus the church toward truly helping the least of these and remind individual believers of their value to God. Recommended.